We are very excited to be offering this colt by the record-breaking Champion Sire Snitzel. After having the season record for two-year-old winners and prize money and finishing in the number one spot on the General, Two- and Three-year-old Sires premiership in 2017/18 Snitzel is already on track this season to break his own records. By the king of Australian sires in the late Redoute's Choice, Snitzel runs at an exceptional 10.8% stakeswinners/runners. An exceptional sire of juveniles, Snitzel is also an extremely versatile sire with nine of his thirteen Group One winners winning their Group Ones at three, four, five and six. A sire of sires, including our very own Wandjina, Snitzel continues to deliver top performers season after season and this is an exciting opportunity to get involved in a cracking colt by the Champion Sire. This colt is out of the Group 2 winning Anabaa mare Dances On Waves. Dances On Waves was a talented and sound race mare who won during every single one of her campaigns and really peaked as a five-year-old winning the Group 2 AJC Villiers Stakes. She is the dam of two winners including the two-year-old winner Pipeline. Very well related, this mare is a half-sister to the dam of Champion Stayer Preferment. The son of the legendary Zabeel, now standing at stud in New Zealand, was a four-time Group 1 winner and earner of just short of $3.5 million prize money during his stellar career. 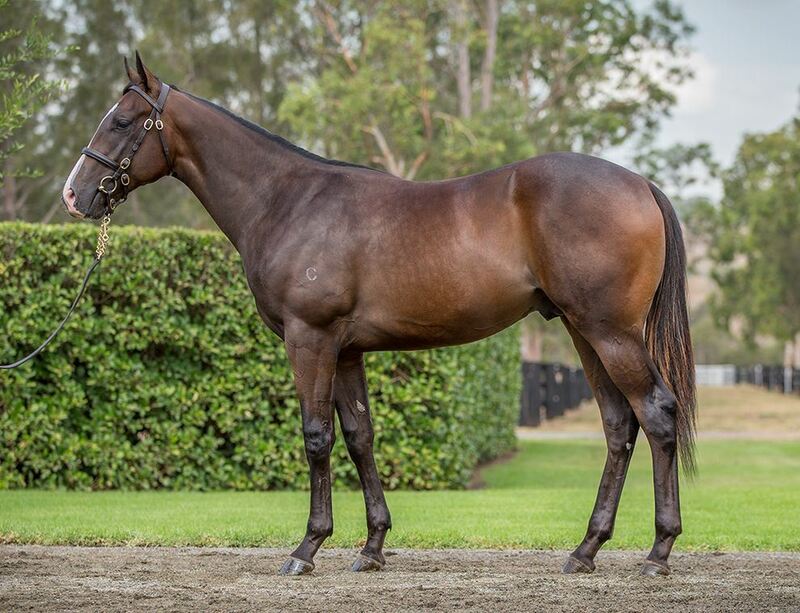 Hailing from such a phenomenal family of sound gallopers, this athletic colt is a very exciting racing prospect for Tulloch Lodge. Pipeline (g by Redoute's Choice) 2 wins-1 at 2-at 1100m, 1200m, A$183,035, ATC Membership H., 2d ATC Membership Open Now H., Schweppes H., 3d ATC Jaydub Electrical H., St Mary's RSL H., Casino Prince at Vinery H.
Beachley (f by Fastnet Rock) Winner at 1300m in Aust. Superbank (g by Street Cry (Ire)) Placed in 2018-19 in Aust. DANCES ON WAVES (f Anabaa) 5 wins. See above. Light the Waves. 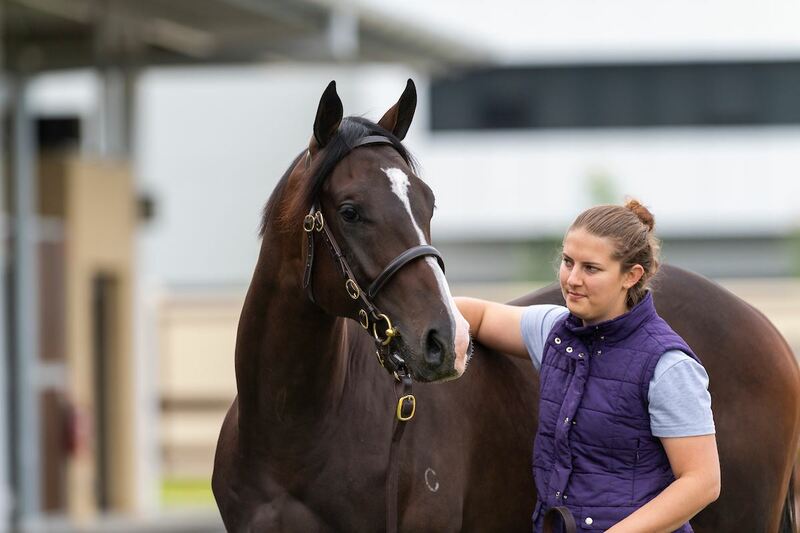 4 wins from 1400m to 2250m, A$116,300, to 2018-19, SAJC TAB H., 36degrees South H., J Snr Frankhuisen Birthday H.
PREFERMENT (c Zabeel) Champion Stayer in Australia in 2015-16. 5 wins from 2000m to 2500m, A$3,432,730, ATC BMW S., Gr.1, Victoria Derby, Gr.1, VRC Australian Cup, Gr.1, Turnbull S., Gr.1, ATC Hill S., Gr.2, 2d ATC Rosehill Guineas, Gr.1, Geelong Classic, L, ATC More Than Ready P., Testa Rossa at Vinery H., 3d MRC Grand Hotel Frankston 2YO H., 4th ATC Chipping Norton S., Gr.1, VRC Turnbull S., Gr.1, NSW Tatt's RC Chelmsford S., Gr.2, BRC PJ O'Shea S., Gr.2, GCTC AD Hollindale S., Gr.2. REZONED (f Zabeel) 3 wins-1 at 2-at 1600m, 2500m, A$125,120, South Australia Fillies Classic, Gr.3, 2d MRC Polytrack H., 3d Scone RC Cressfield H.
Navagio. 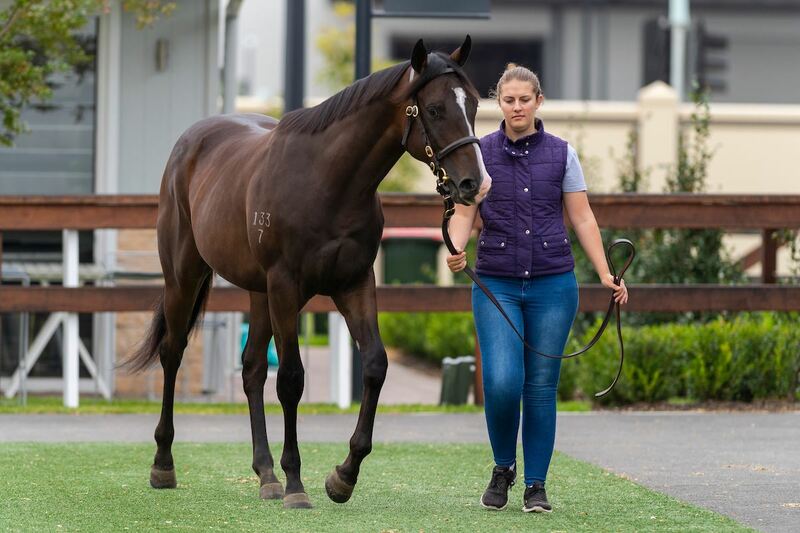 2 wins at 1100m, VRC Doriemus S., 2d MRC Catanach's Jewellers 2YO H.
TAMPIKO (f Lonhro) 8 wins from 1200m to 1600m, NZ$28,937, A$238,276, GCTC Prime Minister's Cup, L, MVRC Black Caviar 25 March H., ARC Telecom H., MVRC Sportingbet H., 3d BRC Spear Chief H., L. Producer. War Hero (g Sepoy) 2 wins at 1100m, 1300m, A$92,585, 2d ATC TAB Highway H., 3d Gosford Guineas, L, 4th VRC Maribyrnong P., Gr.3. ROYAL LOTT (g Royal Abjar) 14 wins to 1500m, A$473,518, Pinjarra RC Chaff City Classic, L-twice, Bunbury S., L, 2d WATC Prince of Wales S., Gr.3, Grandstand Cup, L, 3d WATC RJ Peters S., Gr.3, AJ Scahill S., Gr.3, Pinjarra RC Chaff City Classic S., L.
DANZIG BEAU (c Slant) 13 wins-1 at 2-to 1400m, A$196,450, WATC Beaufine S., L-twice, Colgan Welter H., Tarquin H., ABF Stroke Awareness Week H., Vulcan Chef H., City Beach H., 2d WATC Farnley S., L.
Great Fingall (g Serheed) 5 wins from 1200m to 1700m, WATC Mt Henry H., Cormorant H., 3d Kalgoorlie Cup, L, WATC Arctic Bid H.
IS AMAZING (f Laranto) 11 wins to 1300m, A$355,885, WATC Roma Cup, Gr.3, HG Bolton H., L, 2d WATC Matchmaker Classic, L, Placid Ark S., L, 3d WATC AJ Scahill S., Gr.3, Belmont Sprint, Gr.3, Belmont Newmarket H., L. Producer.